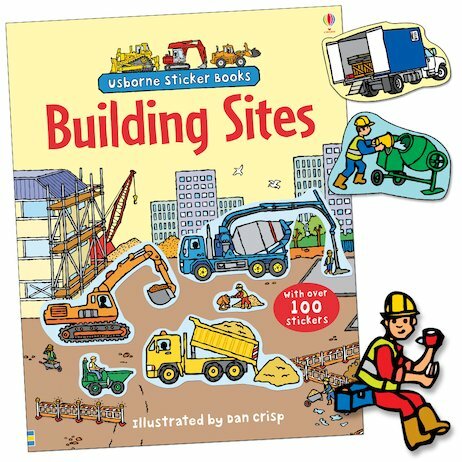 Machines and engineers build roads, houses and bridges in this fun book of sticker scenes, packed with cranes, diggers, trucks, bulldozers and all kinds of workers! Just add stickers of all sorts to help make space for new houses, lay down road surfaces and construct an impressive new bridge. A fun and educational book full of realistic scenes, new vocabulary and over 100 detailed stickers. The perfect way to inspire any budding builder!